A little while ago we were invited to a friend’s wedding that was taking place just outside of Kingscliff (far north coast, NSW), which is a couple of hours from Brisbane. Rather than drive home we booked a hotel for the night and made plans to get there early to have time to relax by the pool before the festivities kicked off. I cannot remember how our plans went so terribly wrong, but we were late leaving home and arrived with only half an hour to spare. We checked in and did the dash to our room to shower and change – only to then realise we had forgotten a multitude of essentials including a tie and belt for my husband, and my entire make up bag! With time running out my only option was the onsite shop which had a small dusty display of a brand called Coral Colours which I had never heard of before. As I started scanning the backs of the packs for cruelty free logos my husband growled in my ear something along the lines of ‘we’re running out of time, please just buy it’ – or words to that effect, maybe just not so polite! Unbelievably we made it to the wedding on time – although ran down the sand to the ceremony on the beach at the same time as the bride was walking down. And my husband looked more like a waiter than a guest with his black suit, white shirt and no tie. So when I finally got a chance to look at the products I noticed that some of them said ‘Not tested on animals’, but some of them had nothing. I emailed the company to find out what their actual status was, and if the products without the ‘no testing’ claim were in fact tested on animals. All our products are NOT tested on animals, we are in the process of becoming on the cruelty free list so all our products have the cruelty free bunny. This response was from a couple of months ago, and I’ve emailed them back to find out if there is any update. Will update when I hear anything. 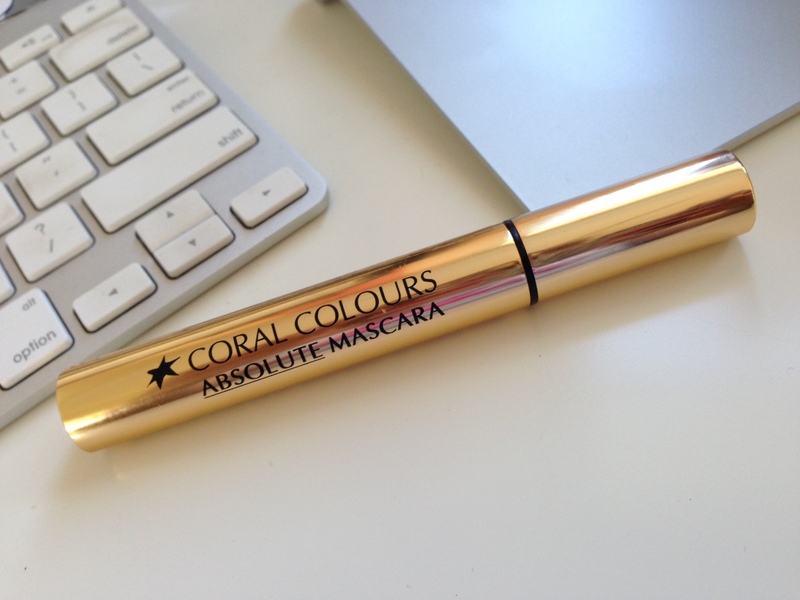 The Coral Colours Absolute Mascara was a great find. Just the right consistency, and the full bristled brush ensures it goes on without clumping and separates the lashes. It’s also an absolute bargain at just $9.95. I will definitely buy it again.